Over the last few years I’ve been very lucky to be able to ski some incredible backcountry skiing destinations: Antarctica, Svalbard, Alps, Alaska, Patagonia and more. Breathtaking views, amazing snow and memorable ascents and descents made those trips unforgettable. Yet, every time I am in Tahoe, I jump on the opportunity to ski the region. Lake Tahoe is one of the world’s prime ski destinations and the proximity to one of the most populated conglomerates, called the “Bay Area”, definitely makes it one of the most crowded in the world. I guess that is one of the reasons more and more people every year head out to the backcountry rather than spending time in lift lines. Backcountry season in Tahoe sometimes starts way before the lifts start spinning at the resorts and can last way after. In my opinion, the best time to go backcountry skiing is 2-3 days after the storm. The avalanche danger is getting lower, yet you can definitely hit some untouched snow before it is all tracked out. Meanwhile, at the resorts the fresh snow is gone… like 20 mins after the opening?! 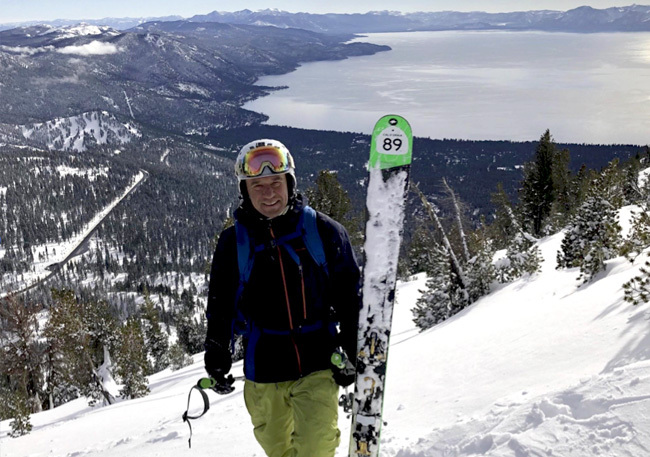 North Lake Tahoe offers great BC skiing with tons of somewhat easily accessible terrain of different levels of difficulty. There are plenty of books and articles with detailed descriptions of directions to the parking lots and the routes, so this is not by any means an attempt to duplicate them, but more of a summary based on rather personal experience on what North Tahoe has to offer and its marquee BC runs. Mt Rose Zone – Let’s start with the ever-so-reliable Mt. Rose area. With the trailheads starting at around 8,500', the Mt. Rose area is a very popular destination early in the season or during warmer days. The area is comprised of 6 major destinations: Mt. Rose itself, Mt. Houghton, Relay Peak, Tamarack Peak, Incline Peak and Galena Peak. All 6 are located on the west side of the Mt. Rose Hwy (hwy 431) with trailheads south of the Mt. Rose ski resort. Incline Peak and Relay Peak are the most popular and accessible. All destinations can be reached with skins on. These areas do get crowded, by BC standards, on a good weather weekend. With elevation gains between 1,100’ to 1600’ multiple laps are often an option. No need to ski all the way down to do the next lap. Perhaps 600-700’ vertical laps could be just right. West Shore Zone – Though not exactly North Tahoe, but very easily accessible from the north where there are 6 major destinations: the legendary Jake’s peak, Hidden Peak, Rubicon Peak, Blackwood Canyon, Twin Peaks and Stanford Rock. The first three trailheads start at just 500’ above the lake level (at 6700’) on Hwy 89. All three have approximately 2,500’ of elevation gain and have somewhat steep switchbacks, but all three can be skinned all the way up. Please note that the trailhead elevation is relatively low at only 6700’, so keep your eyes on the snow levels. Alpine Meadows resort has backcountry gates and can be used as a starting point for a quicker access to Ward Canyon and its marquee run, Twin Peaks. The views from Jake’s, Hidden or Rubicon peaks are just breathtaking - perhaps some of the best views of Lake Tahoe in the region. Truckee Zone – While not exactly located in Truckee, this area is in very close proximity to town. 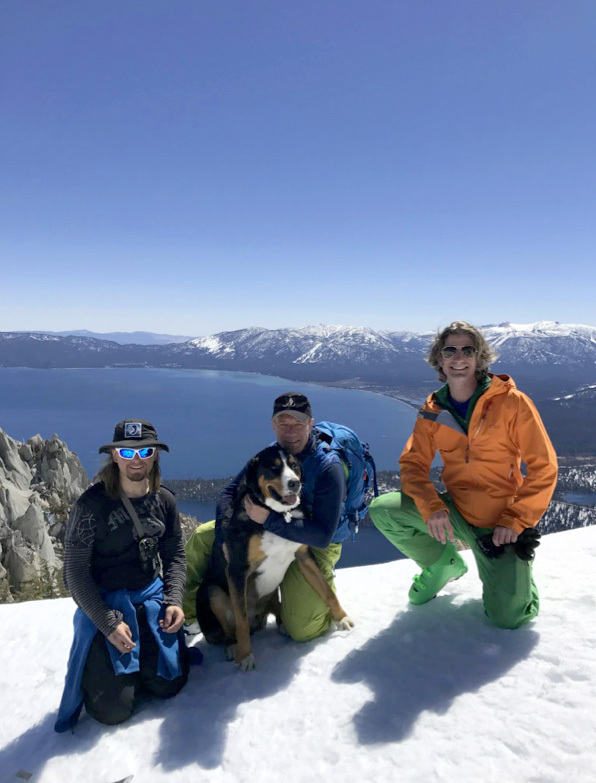 In my opinion, there are only three destination worth the “trouble” to ski there: Castle Peak, Donner Peak and Andesite Peak. Donner Peak is especially good if you have the luxury of two cars, can be a very nice, quick lap(s), where you basically get two feet of skiing for one foot of climbing. Just park one car by the Old Sugar Bowl Academy on Old Hwy 40 (make sure the road is open from Truckee on snow days) and park the second car anywhere in the neighborhood of South Shore drive at the west side of Donner Lake. Start you climb from the Sugar Bowl Academy and aim for the peak, approaching it from the west. Ski toward Donner lake (North-East aspect) and toward your second car. Castle Peak has a somewhat long approach, but once at the foothill, the skinning itself is fairly quick. A few laps are most likely an option there as the laps are fairly short. Also, worth mentioning is the Silver Peak, which can be seen from Squaw Valley (across Shirley Canyon) and can be approached either from the Squaw Valley side (the trailhead is right behind the Squaw Valley fire station) or from Highway 89. The Squaw Valley starting point is fastest, but you would either have to ski back on the North aspect, which is great skiing, but a shorter run, or have can your second car parked at Highway 89 and ski a longer run on the East aspect. Sierra Avalanche Center is the best source for avalanche condition and forecasts in the Tahoe region. Gear rentals, guides or just to pop in the store and ask locals some questions head to The Backcountry. Subscribe to our mailing list and get 15% your next order!